Himachal Pradesh is blessed with a spectrum of majestic Himalayan peaks that lure nature lovers from across the world. Himachal Himalayas are the least explored of all the Himalayan regions and offer a primitive world of nature, adventure and culture. Bir Billing is a picturesque small village surrounded by big mountains, popular for paragliding also known as one of the finest aero sports sites in the world. It became known for paragliding after hosting pre-world cup. The adventure junkies will have the best experience of trekking and paragliding in Himachal Pradesh. Breathe in the fresh mountain air and de-stress in the alluring beauty of the place. It is an adventure destination that has lot of thrilling adventure activities like, camping, trekking and paragliding. 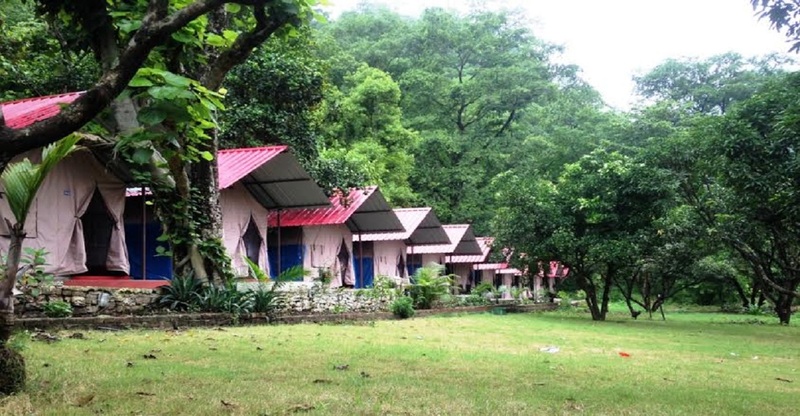 Arrive at Camp Oak View, Bir, Himachal Pradesh on your own. Bir is about 12-13 hours from Delhi. Check in to the camps and freshen up. Spend the day at leisure and take rest. Have dinner and stay overnight at the camps. Rise and shine to admire the beautiful view outside your camp. Have scrumptious breakfast. After breakfast start your guided trek from the camp through Ghornala village. Meet the locals, interact with them and find out more about their village and traditions. Visit a local Pahadi house and admire the architecture and efforts of villagers who made it. Enter the lush green valley of dense forests of Oak, Rhododendron and Deodar! The verdant valley will take your breath away! Reach the Thati village which is located in the remote parts of the area. The village is not connected to any roads and is one of the most unexplored places in the area. Return to the camp and on the way back visit the Mukutnath Temple which apparently has the world’s oldest Tulsi Plant. Have dinner and stay overnight at the camps. Have your breakfast and then leave for a long walk around the area. Drive to Billing for a Paragliding session. You will have a briefing session before the flight; your instructor will tell you all the dos and don’ts! Fly over the beautiful valley for 20-30 minutes. The professional flyers will take care of your safety. These experts maintain a high safety record and combine it with years of practice to provide you an excellent experience of tandem paragliding in Bir Billing. Just sit back and keep your camera busy! Relax and feel the thrill! Land at Bir and return to the camp. In the evening take a visit to Palpung Sherabling Monastery. Have dinner and stay overnight at the camps. Check out from the camps early morning. Continue your journey to the next adventure destination. 4. Personal expenses such as table drinks, rooms services items, laundry, telephone calls, tips, etc. 5. Any additional expenses caused by disturbance in trip program due to circumstances like weather conditions, sickness, natural disasters, riots etc. Spread your wings and fly in the blue sky over wonderful Bir Billing. Weather plays an important role in Paragliding, and Bir Billing has an amazing weather throughout the year to try Tandem Paragliding. Just at 3000 Feet, experience the peace as you sit back and relax. You will be briefed about the activity before the flight. A professional flyer will be there to help. You just have to sit back and relax, and the pilot will take care of everything. It’s okay if you are nervous, once you start flying in the air, those will be the best moments of your life. Remember to carry a camera when you fly and capture the bird’s eye view of the valley. Discover the beautiful villages of Bir by trekking. Explore the culture and traditions of people living in those small but beautiful villages. Stay at Camp Oak View to experience nature at its best. The beauty of Thathi village will leave you breathless! Visit the Mukutnath Temple and admire the Palpung Sherabling Monastery.